AUSTIN, Texas—Jan. 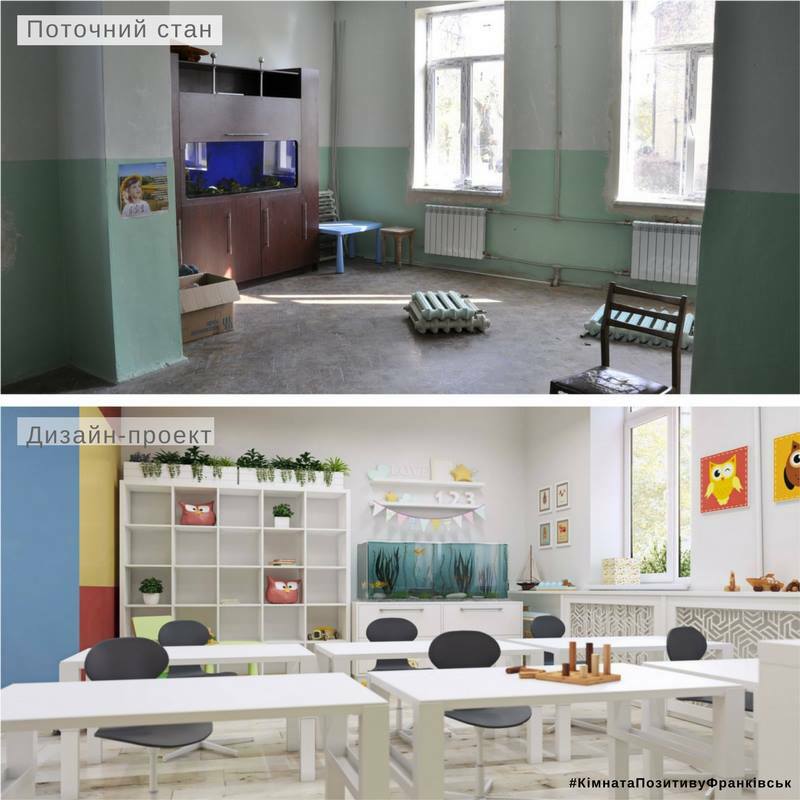 25, 2019—SoftServe, a leading digital authority and consulting company, announces its Open Eyes charity fund opened Ukraine’s first ‘Positive Room’ for children at the Ivano-Frankivsk Regional Phthisiopneumology Center (RPPC). The room—in cooperation with the doctors of the child department of pulmonary, tuberculosis, and meningitis—creates a comfortable and vivid space where children can spend free time during treatment. Every year nearly 200 children in the Ivano-Frankivsk region become patients at the RPPC’s department of pulmonary tuberculosis and meningitis. During prolonged treatments—which can last two months or more—the children cannot attend school and are often isolated from friends and family. Additonally, the department designed to host 30 hospital beds is often overcrowded. The ‘Positive Room’ gives the children a place to spend their free time to have fun, read, catch up on school curriculum, and develop creative skills. The room is split into four zones—creative, playful, reading, and educational—all filled with selected toys and materials to boost the child’s development. The ‘Positive Room’ at RPPC is the first of four planned projects in Ukraine. The goal is to create similar spaces in Kharkiv, Dnipro, and Rivne. The project is financed by donations from SoftServe, its associates, and other donors to the charity fund. Project partners include design-studio Dnes and Ikea-Mania store. The Open Eyes fund opened its first ‘Positive Room’ in October 2017, with the cooperation of the association ‘Pozytywne.com’ and other patners, at child clinic of endocrinology and diabetes in Wroclaw, Poland. The idea for the ‘Positive Room’ was originally submitted to the Open Eyes charity fund by associates of SoftServe’s development center in Wroclaw.